Every year it seems to take less and less to trigger a full-on winter freakout on my face. A couple weeks ago Vancouver experienced its first bout of dry cold with temperatures hovering near freezing, and my skin went from normal to dry, red, itchy and stinging. 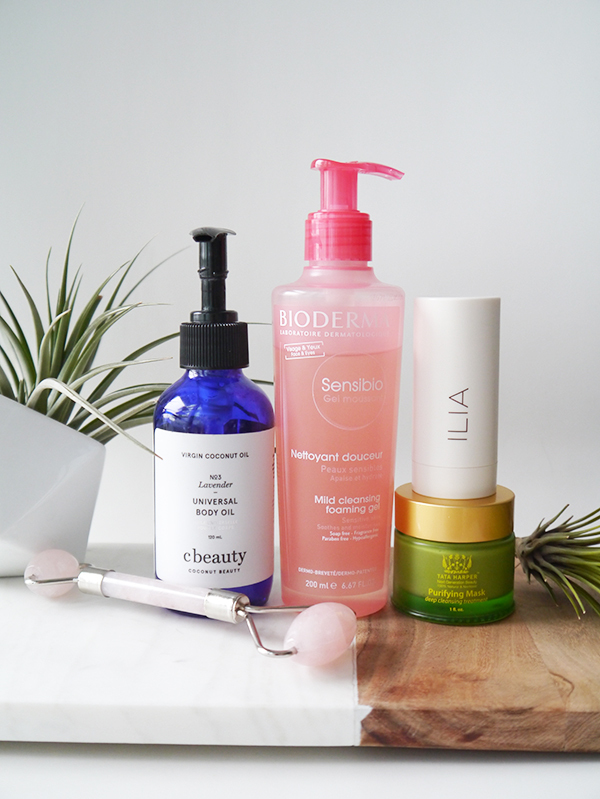 The weather has since gone "normal Vancouver" and become mild and wet, but that doesn't mean I don't have a few skincare tricks up my sleeve if it changes again. If you live in a "dry cold" climate where the air outside is harsh and the indoor heating is turned way up, this post might be helpful! 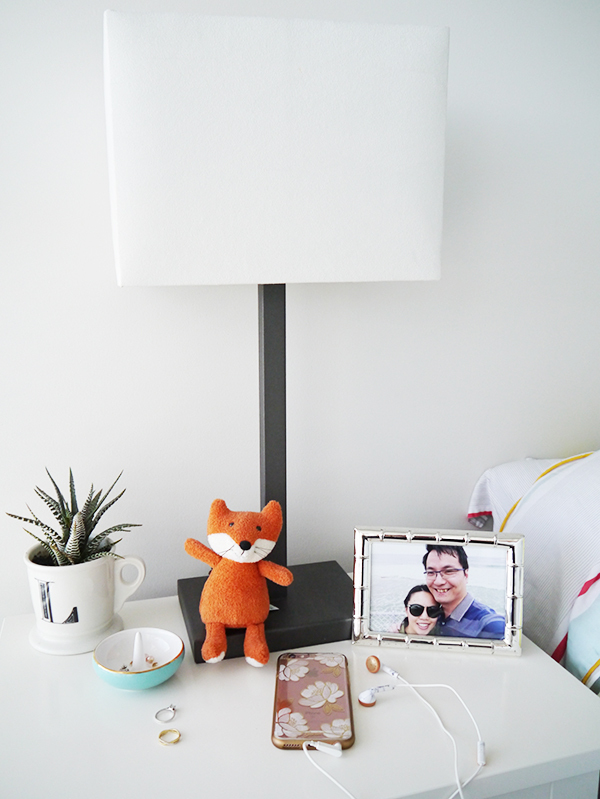 As you might've guessed from the winter wellness goals I shared a couple weeks ago, I'm all about self-care lately. 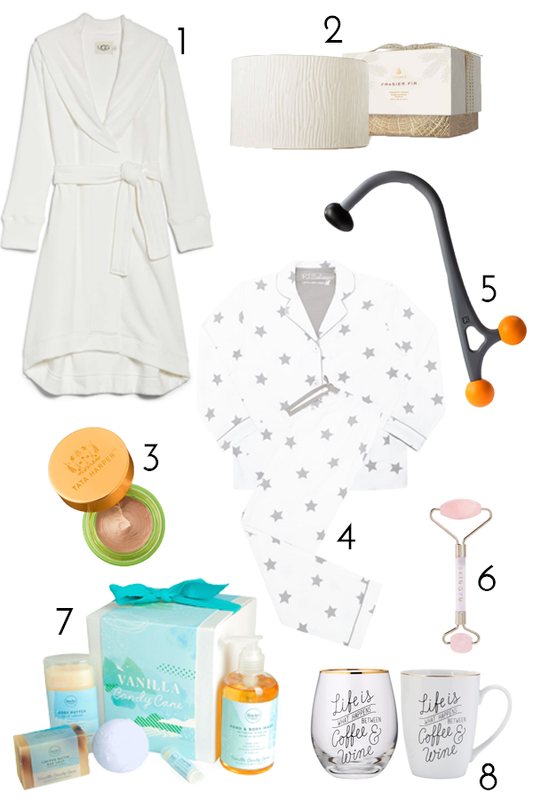 This gift guide includes many of my tried-and-true personal faves, items that will let the recipients pamper themselves and hygge it up at home. 15 products! 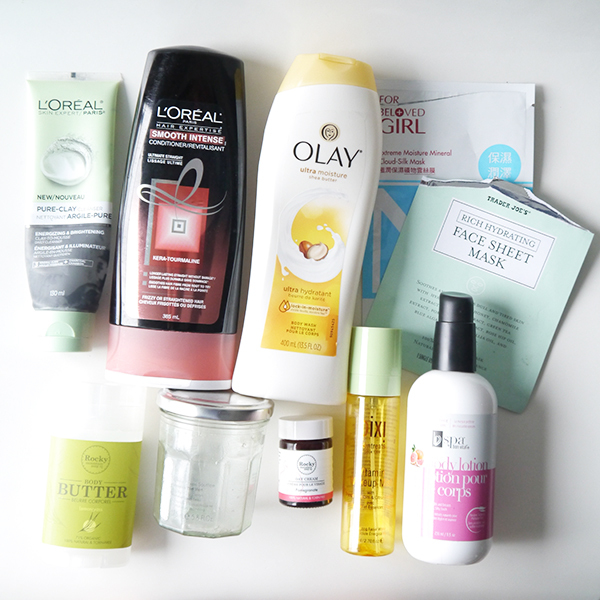 This month's empties round-up features a couple of not-quite-empties. Which ones are they? You'll just have to read on to find out. 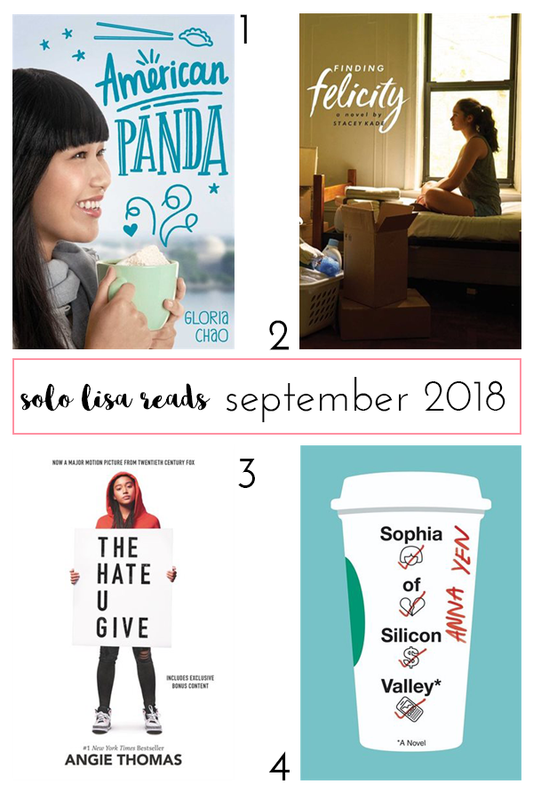 Despite what Instagram might have you believe, September and October were not all good times and husbands bearing Tiffany earrings. I hit a few snags with my mental and physical health and there were days here and there where I didn't feel like myself at all. As we close out 2018, I'm trying to focus on my well-being by following the self-imposed rules in this list. 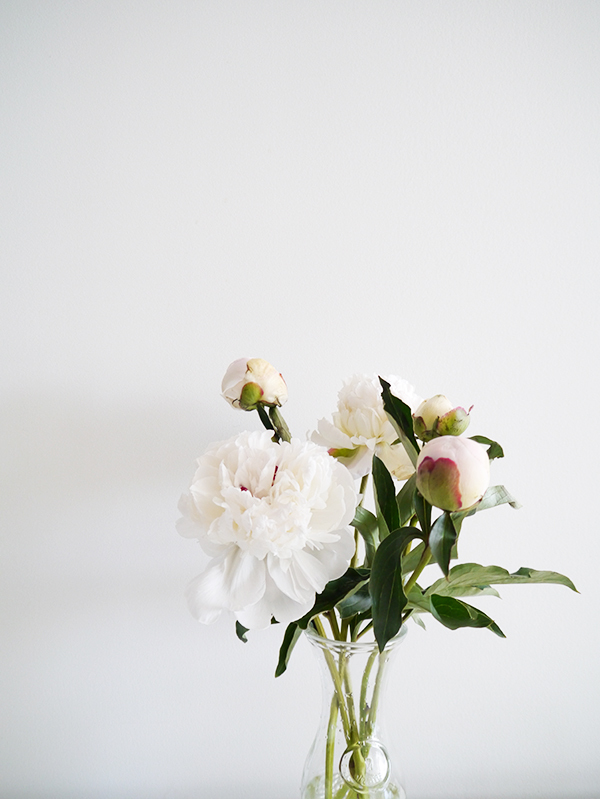 The holiday/winter season can be stressful, busy, overindulgent or all of the above, so why not have a simple list of rules to ensure you're taking care of yourself despite all that? Pretty ingenious idea if I do say so myself. What would your list look like? Did you know that the lower-than-average UV rays during winter make this an ideal time to try a peel? This is just one of many fun facts I learned during the NeoStrata session at this year's #LDBeauty event. 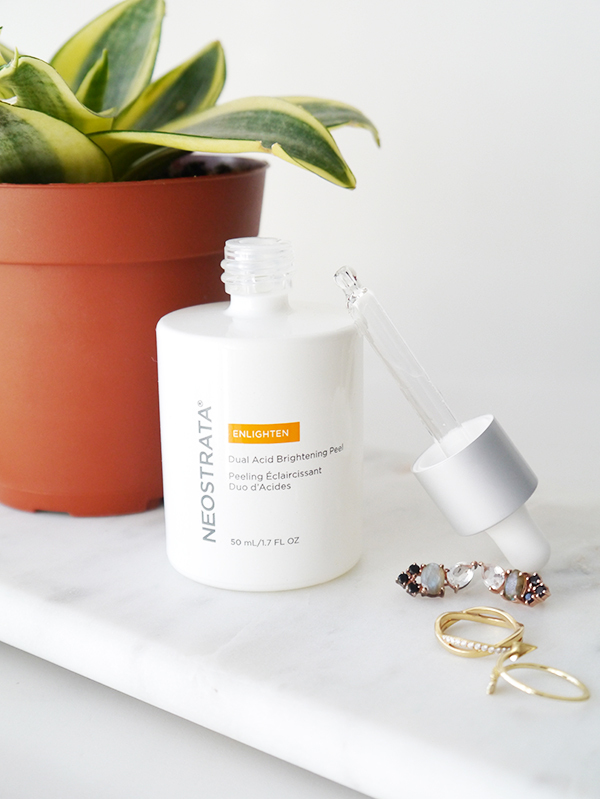 NeoStrata has gone through a bit of a makeover recently, with new branding and Instagram-friendly white packaging, as well as revamped formulas and an overhaul of their entire product lineup. Now their collections are organized by primary skincare concern, clearly labeled and easier for consumers to navigate. But at its core NeoStrata remains a science-forward brand devoted to proven results and effective ingredients; this was the skincare brand that first pioneered the use of AHAs, after all! This blog is no stranger to charcoal-infused beauty products, whether they're all-natural, Asian, or drugstore. (See here, here, here, here, and here for evidence.) 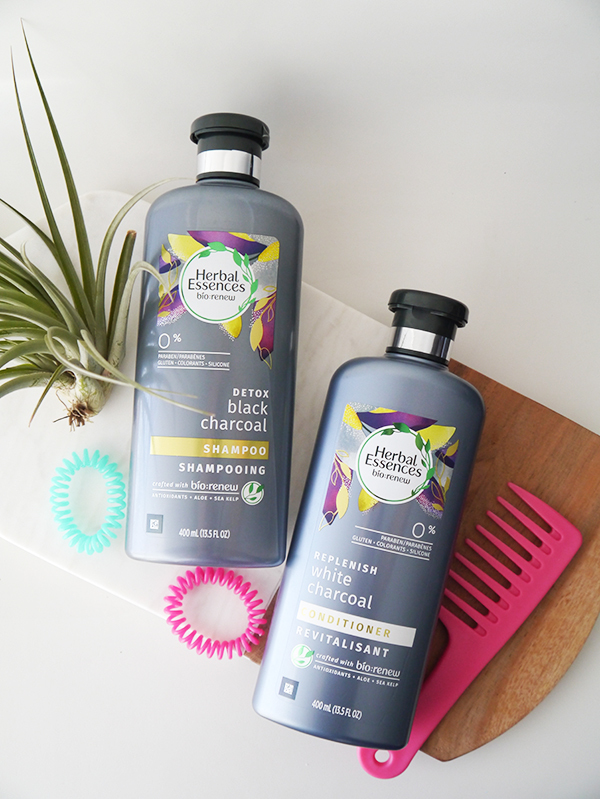 Now we have charcoal-infused drugstore haircare with the new Herbal Essences Detox Black Charcoal Shampoo and Replenish White Charcoal Conditioner. The charcoal purports to "detox" hair and remove buildup. In other words, think of these as gently clarifying shampoo and conditioner formulas. As temperatures drop and the days get shorter, I've noticed a definite shift in my mood. I'm craving cozy and quiet evenings at home, either trying new recipes and cooking up a big batch of soup, stew or chilli in the kitchen, or indulging in a bit of self-care à la skincare. 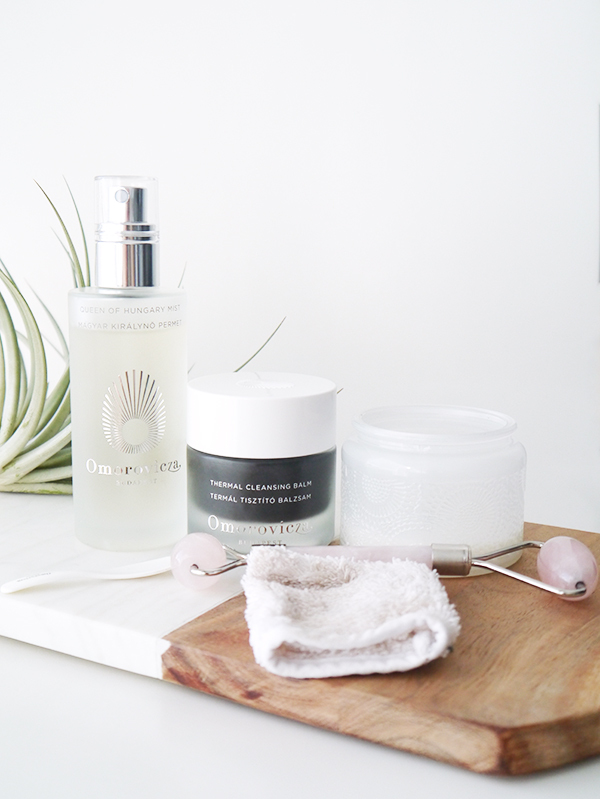 Lately two new-to-me products have made this at-home skincare routine feel a little more luxe and spa-like: the Omorovicza Thermal Cleansing Balm ($135) and Queen of Hungary Mist ($110). There's something oddly satisfying about using up products, collecting the empties, and looking back now that I'm in a regular groove with these empties posts. 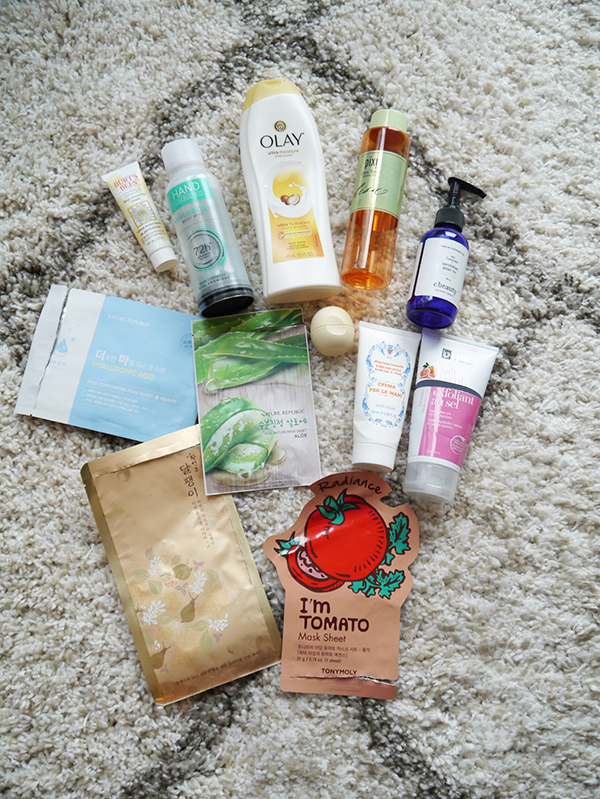 This month's round-up includes quite a few sheet masks as well! Year after year, #LDBeauty is one of my favourite beauty blogger events hands down. 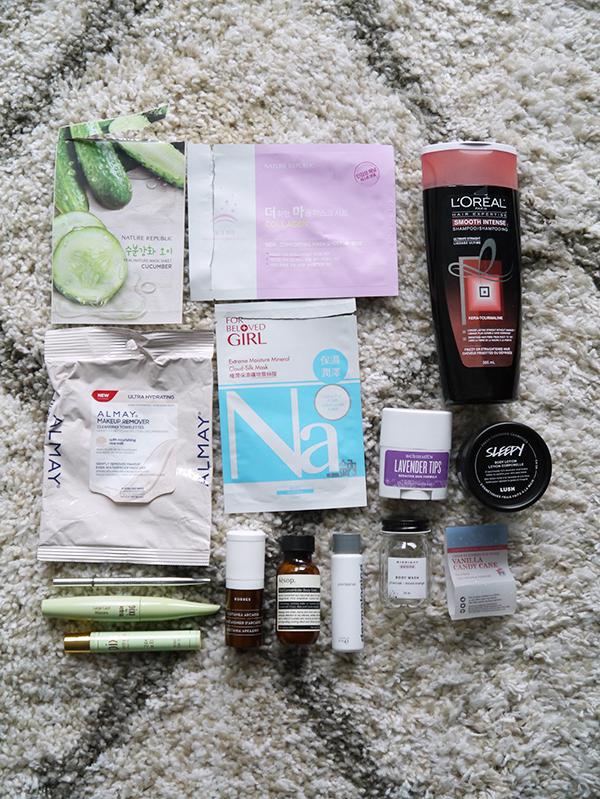 Amazing hospitality, the chance to connect directly with brands and other beauty lovers, plus a bevy of makeup, skin, body, and hair care products to test afterward? Yes, please! I had a blast at this year's Whistler event (you can see some of the highlights on my Instagram) and walked away excited about quite a few launches. 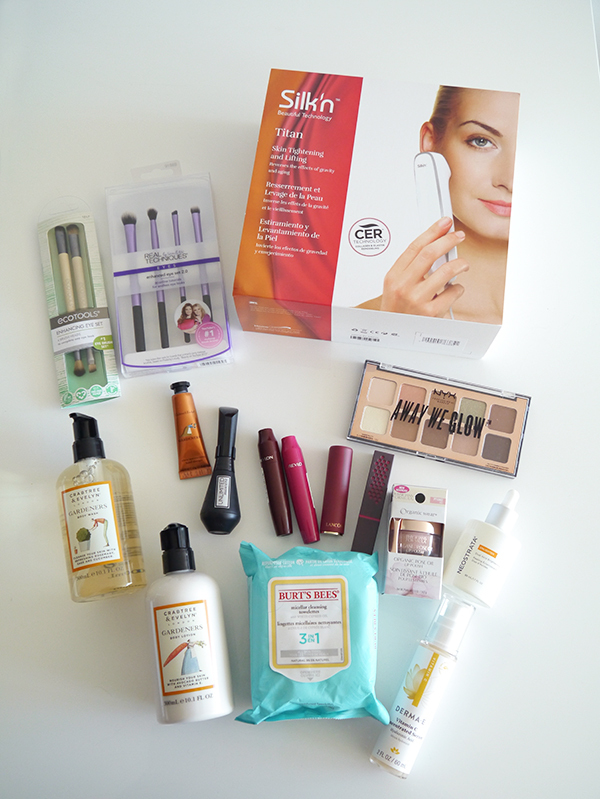 These are just some of the items that sparked joy and a visceral "I can't wait to try this!" reaction as soon as I glimpsed them, and best of all, quite a few of them seem to be on sale right now. Look for them at your local London Drugs! Seriously, what is more goof-proof and fuss-free than drawing on your face with a giant crayon and blending with fingertips? 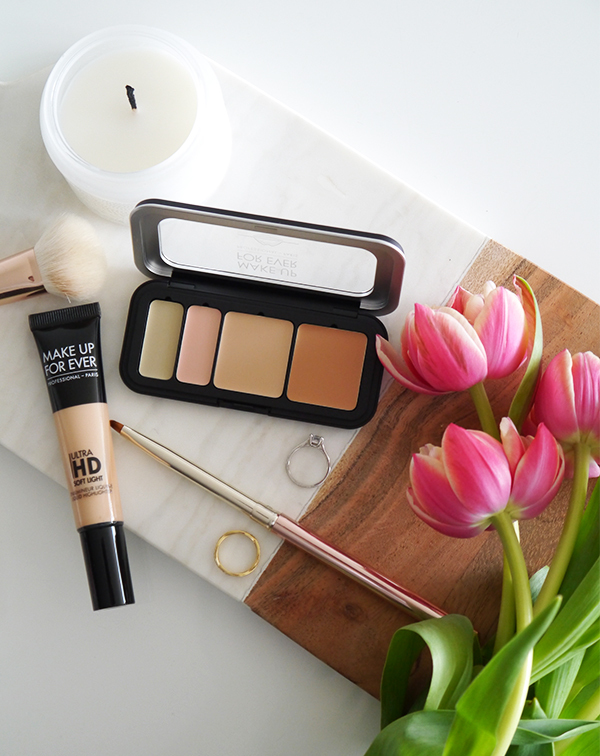 So portable, so easy, and best of all, no makeup brushes to wash. 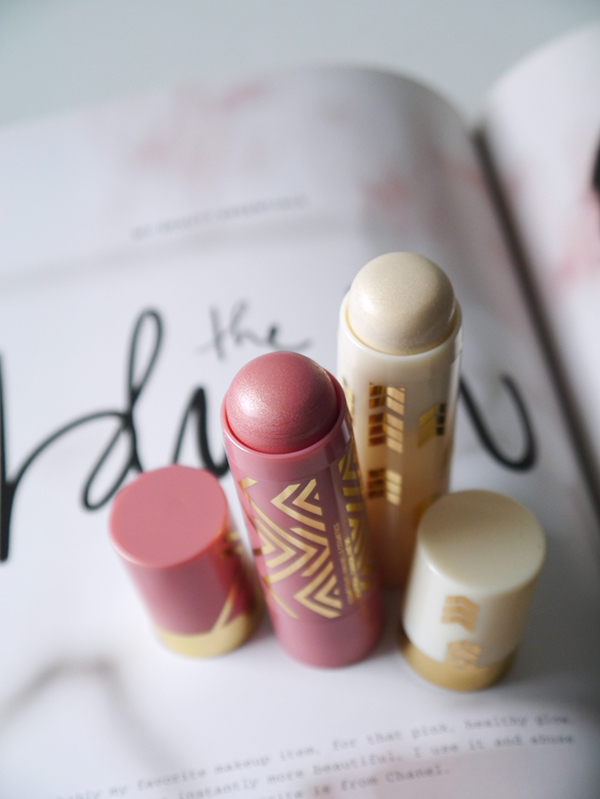 When I first glimpsed the Annabelle Perfect Cream Blush ($9.99 at London Drugs) and Annabelle Perfect Cream Highlight ($9.99 at London Drugs) at last year's London Drugs #LDBeauty preview, I knew they were automatically Lazy Girl Approved, and at less than $10 a pop, they're also true Drugstore Delights. Although summer isn't technically over, things have already taken a turn for the autumnal in Vancouver. I spent the rainy weekend cleaning and making a big batch of turkey and white bean chili, and when I wasn't #adulting, I was cozied up with blankets and Netflix and countless mugs of hot tea. Skincare-wise, my routine is in flux as I transition from summer to fall. 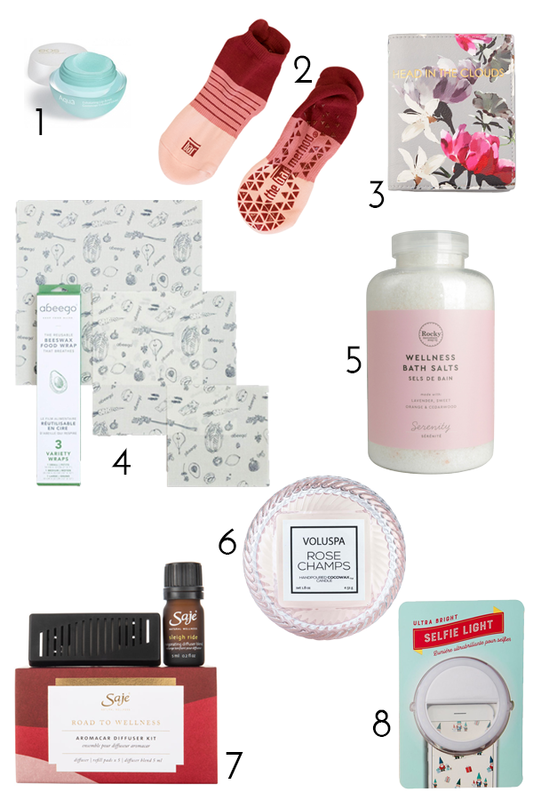 While I still like cool, light products on warmer days, I'm also craving products that are richer in texture, indulgent, soothing, perfect for self-care evenings...or all of the above. 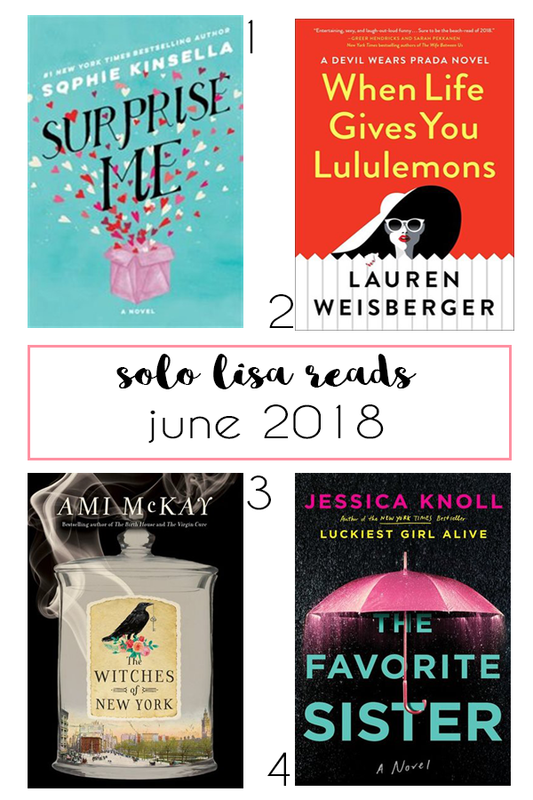 Here's what I'm loving lately. I try my best to live a healthy life: eating nutritious foods, tracking and limiting my consumption of not-so-good stuff, going to barre classes, getting enough sleep. But sometimes these efforts don't feel like enough, especially as I get older and time and gravity start taking their toll. I'm definitely not as slim as I used to be 10 years ago, nor as firm! 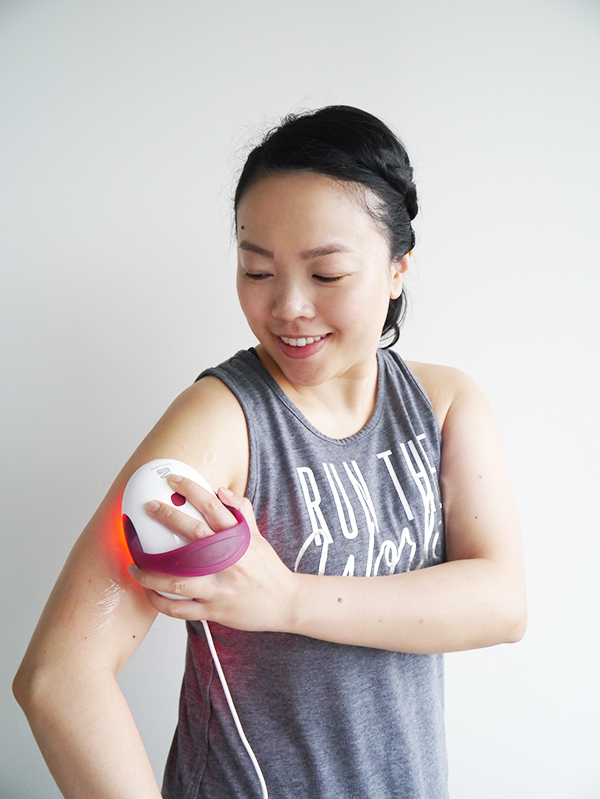 Cue cosmetic devices like the Silk'n Silhouette Body Contouring & Cellulite Reduction Device ($289.99 on sale for $249.99 at London Drugs), which promise to step in and be that little bit extra that will give us the firmer, slimmer silhouette of our dreams. I received one of these devices for review and I've been testing it on and off for the past two months. Here's what you need to know about it! 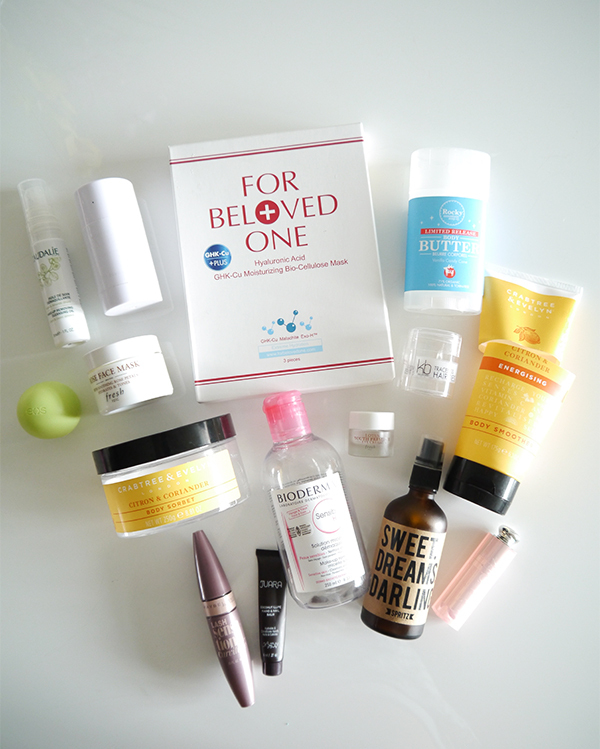 These empties round-ups are quickly becoming one of my favourite recurring beauty features on the blog. Not only do they allow me to revisit products and possibly revise my initial impressions, they're a good way of keeping tabs on the must-haves and the repeats in my roster. Here are the skin and body care products from the drugstore, department store and from natural beauty brands that I finished recently. 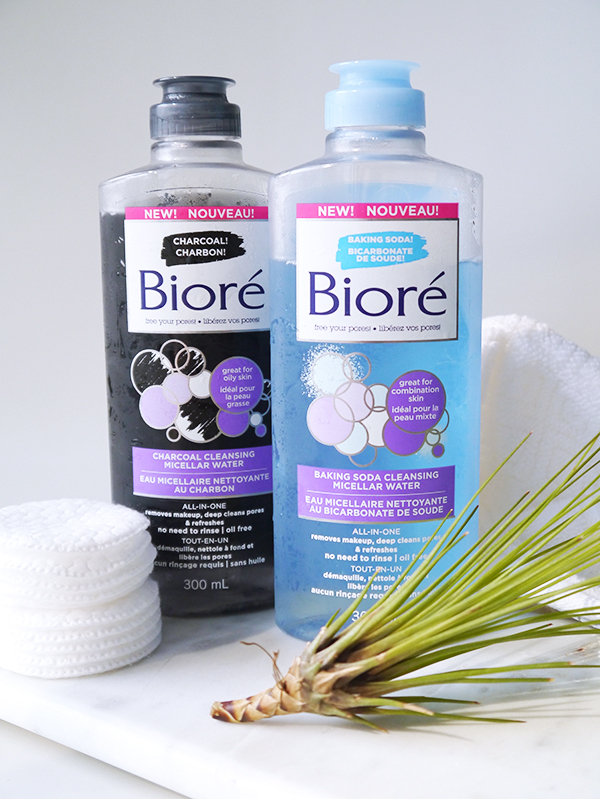 I'm no stranger to micellar water (see this post and this post for evidence), but the new Biore Charcoal Cleansing Micellar Water ($9.99 on sale for $5.99 at London Drugs) and Biore Baking Soda Cleansing Micellar Water ($9.99 on sale for $5.99 at London Drugs) instantly piqued my curiosity with their novel twists on what's more or less a classic formula. So how do they stack up against other ones I've tried? All the details after the jump! This product review is going to read more like a PSA for tired summer feet than a proper product review. You know what I'm talking about: It's now mid-August and after a season in sandals our feet are a little worse for wear, especially if we haven't kept up a regular pedi regimen. 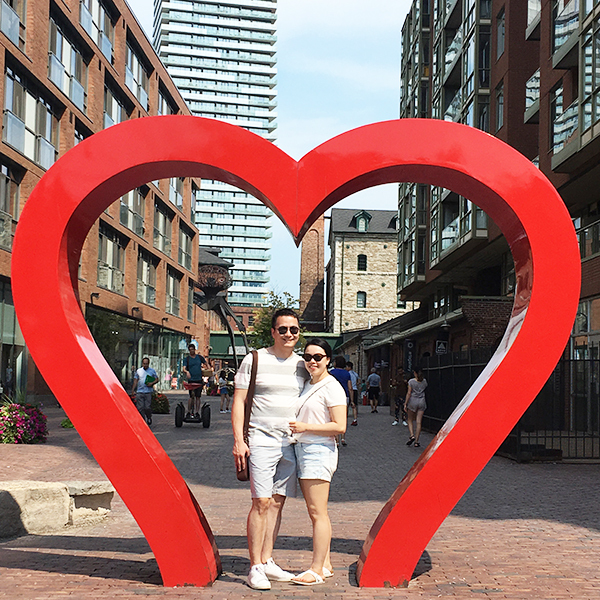 Think blisters, and in my case, bruised toenails that are the aftermath of salsa dancing in too-tight shoes in Toronto. To the rescue? 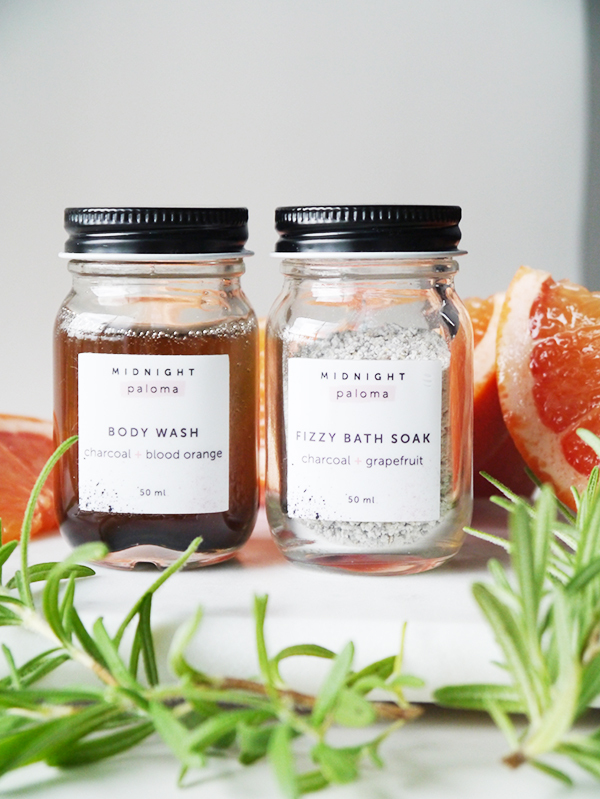 Midnight Paloma Charcoal + Grapefruit Mini Fizzy Bath Soak and Charcoal + Blood Orange Mini Body Wash ($10 each). A cooling hyaluronic body mist that layers well under sunscreen, water-resistant eyeliner, hair products that let you air-dry damp locks and do ponytails and buns...if you haven't noticed, there's a running theme through my latest product reviews and it is that they are all targeted towards surviving the dog days of summer! It's been so hot in Vancouver lately that I've taken to keeping certain skincare products in the fridge. I've also been relying on my latest natural deodorant fave, Schmidt's ($12.99 at Welk's General Store), to keep me smelling fresh from AM to PM. Natural deodorants have been on the blog before and have been a big part of my journey into green beauty, and while I play a little fast and loose with some products by switching between conventional and natural versions, I think I've become a natural deodorant convert for good. All the details on Schmidt's after the jump! I've always been a low-maintenance wash-and-wear gal when it comes to my hair and summer brings out those Lazy Girl tendencies even more. Blow dryers? No thanks. Heat styling? Forget it. Of course, even with a minimal routine the right products make all the difference. I'm talking about moisturizing shampoo and conditioner that'll let hair air-dry soft and shiny sans frizz, a brush that detangles with ease (such a good idea for the pool! ), and traceless ties that keep a tight grip on ponytails and buns without leaving weird dents and waves when you let your hair down. 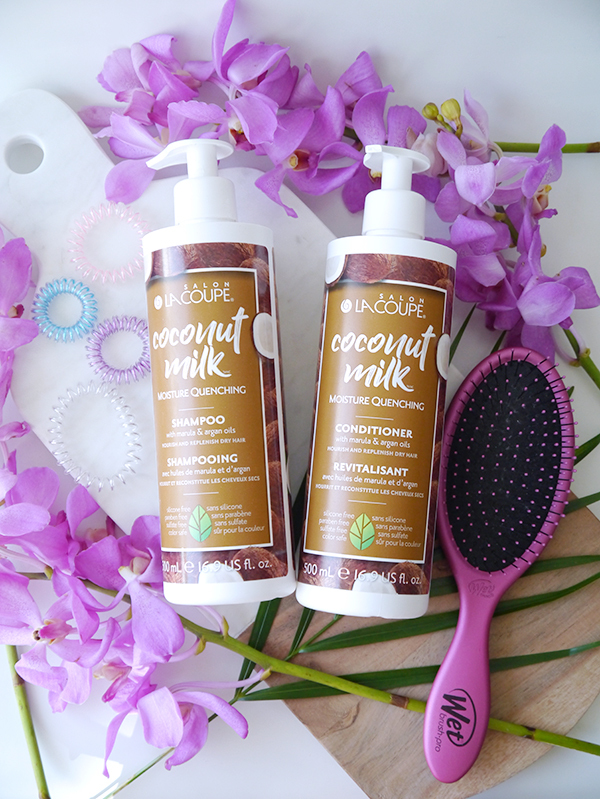 Here are the haircare products I've been enjoying so far this season! Chalk it up to my Lazy Girl approach to beauty or my almond-shaped Asian eyes, but I've always preferred a graphic swipe of liquid eyeliner to eyeshadow. And if the formula stays put and doesn't smudge, even better! 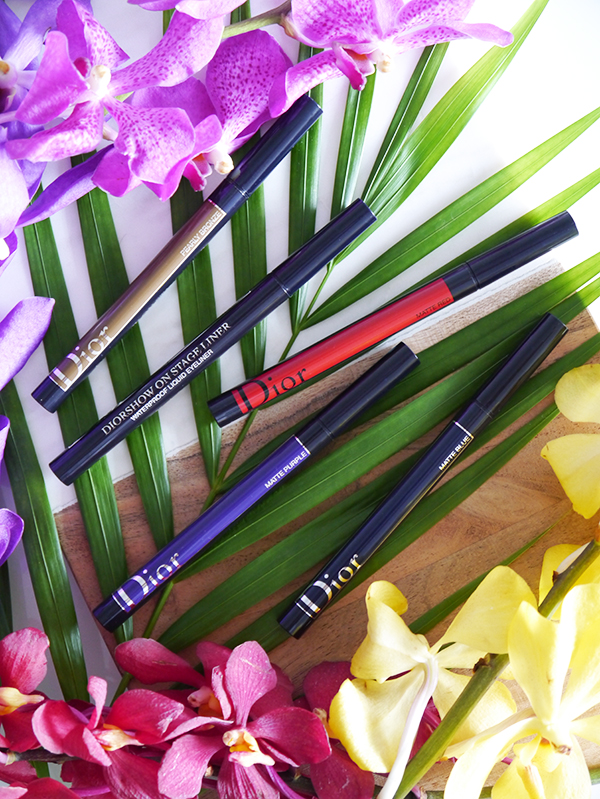 Which brings me to the newly launched Diorshow On Stage Liner ($35), a liquid eyeliner that sounds like the answer to my prayers on paper. It boasts a waterproof formula that supposedly stays put for up to 24 hours, comes in a slew of fun colours, and features a precise felt tip capable of thin and thick lines. So how does it measure up IRL? Well...not great, to be honest. 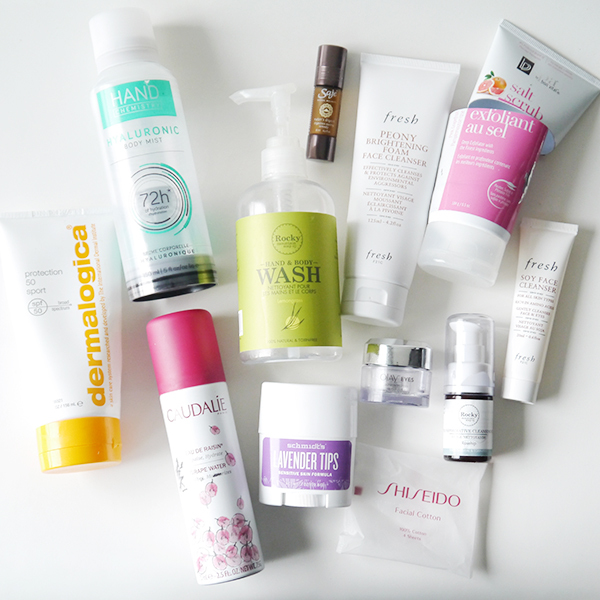 15 skin and body care and makeup empties in this latest round-up, ranging from department store to all-natural and drugstore finds! Without meaning to, I've somehow let a whole year slide by between my last book review round-up and this one. 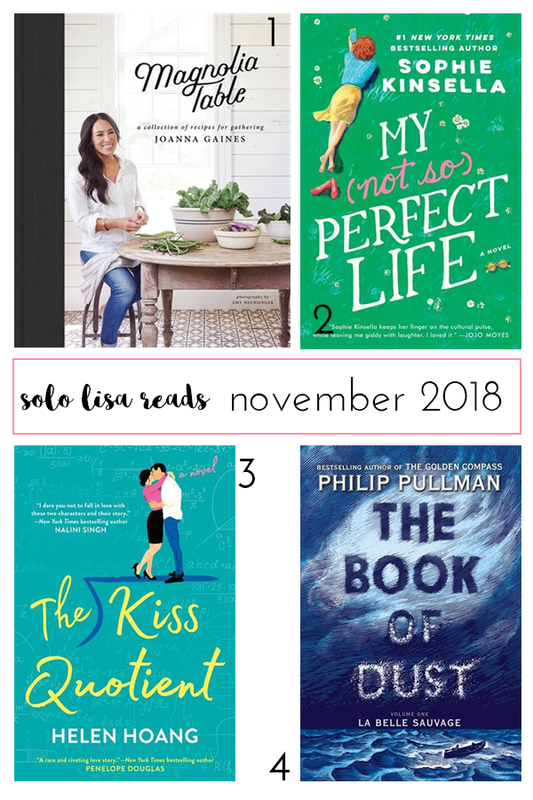 I was still reading during that time—or rather re-reading, revisiting books I've loved since forever. But there's nothing like summer and the promise of long, warm, lazy days to make you reach for a new book, is there? Here are four I've enjoyed recently; they'd go well with a patio and a cold drink. Deciem has been on my radar for a while, but I've resisted the temptation to purchase anything because it felt wasteful to be buying more products before I'd used up the skincare I have at home. Until now, that is. The other day I was at their downtown Vancouver store with Jayne and I spotted the Hand Chemistry Hyaluronic Body Mist ($20). Here was a product unlike anything I had or had seen before, a product that fit a very specific niche and would probably be heavily used come summer! And for just $20, how could I lose? I've been testing this for a week and am very pleased with it so far. 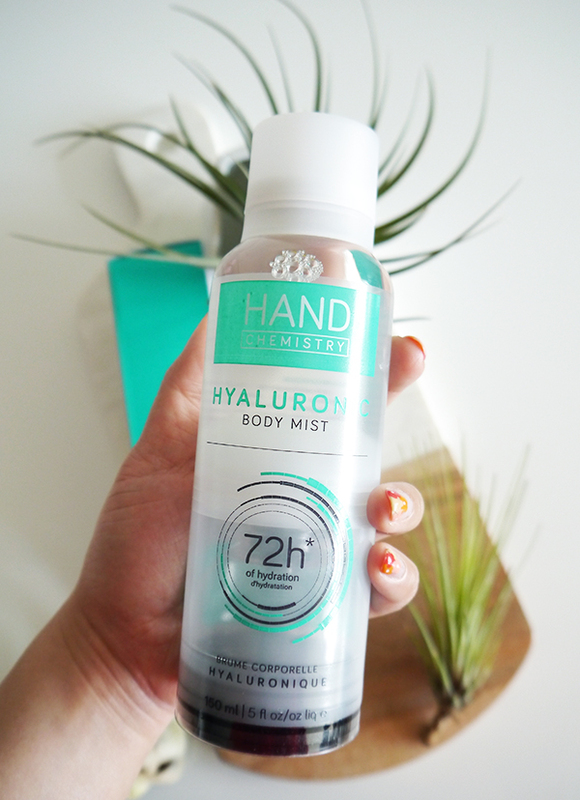 This hyaluronic body mist has proven to be the perfect marriage of formula and packaging. When I was in my early 20s I was obsessed with Chanel as the epitome of all things luxurious, chic, and in good taste. That obsession has waned in recent years; now I have responsibilities like a mortgage and I'm trying to be a good minimalist. I'm also more inclined to spend money on fitness (oh hi, Bar Method) or a vacation with Hubs. 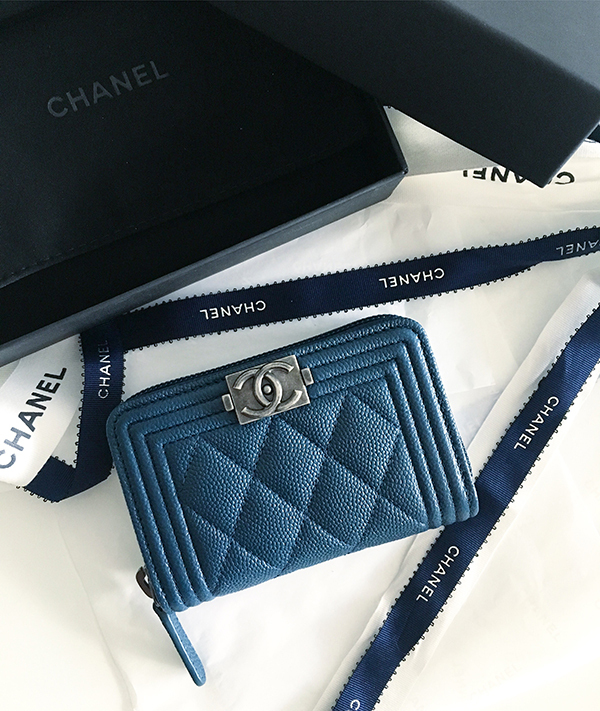 But the Chanel love had never disappeared fully, it was just dormant, and it flared up when I bought my new blue Chanel Boy coin purse on our recent trip to Portland. I can always think of a good excuse for a new lipstick, and summer happens to be rife with them! There are patio brunches, parties, bridal and baby showers, and let's not forget wedding season. That's where the new Dior Addict Lacquer Plump ($43) comes in. 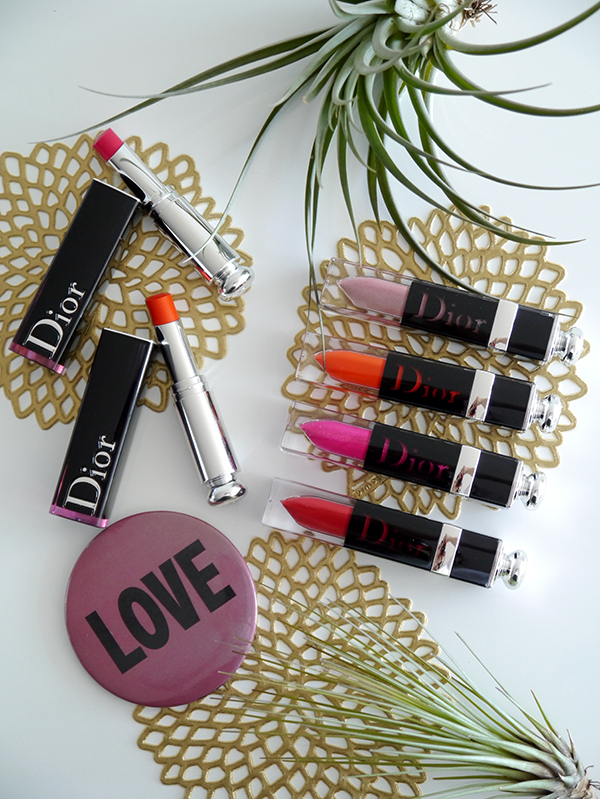 Billed as "the first plumping lacquered lip ink," Dior's latest claims to deliver long-lasting colour along with plumping and hydration benefits. In other words, it sounds like a perfect-for-all-occasions lip colour you'll reach for time and again because it makes a bold statement and feels great on the lips. Ready for a closer look? 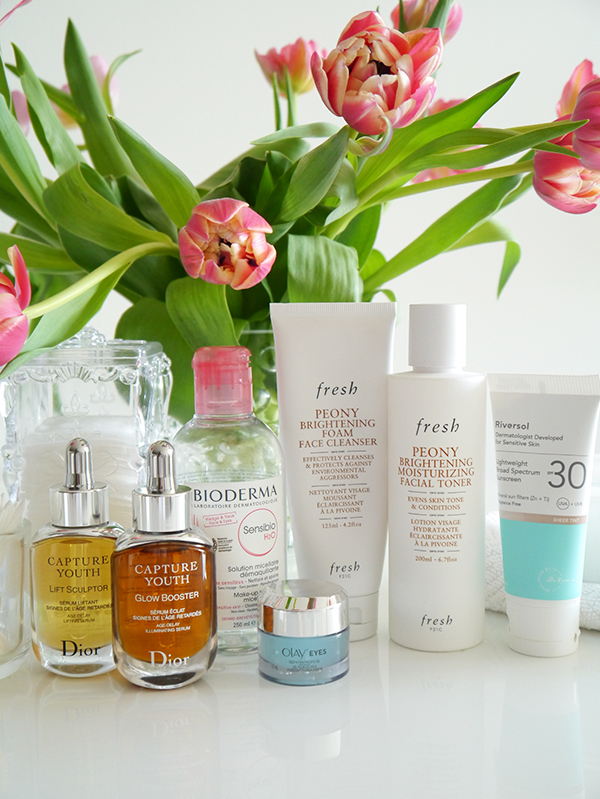 Another season, another updated skincare routine! The change in weather has me rummaging through old and new beauty samples and tweaking my regimen. These days I'm craving hydration, refreshing lightweight textures, and a radiance boost. 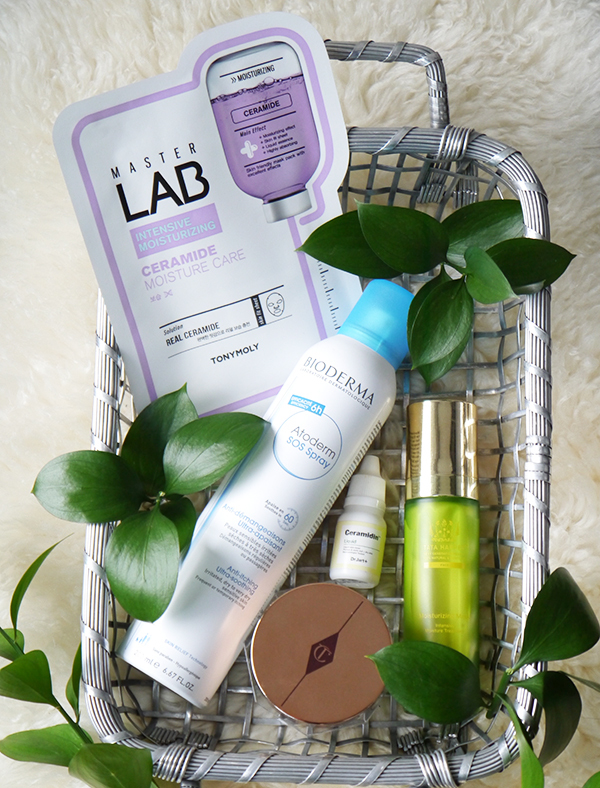 Here's the eclectic mix of drugstore, department store, and free-from skincare products I've been loving lately. 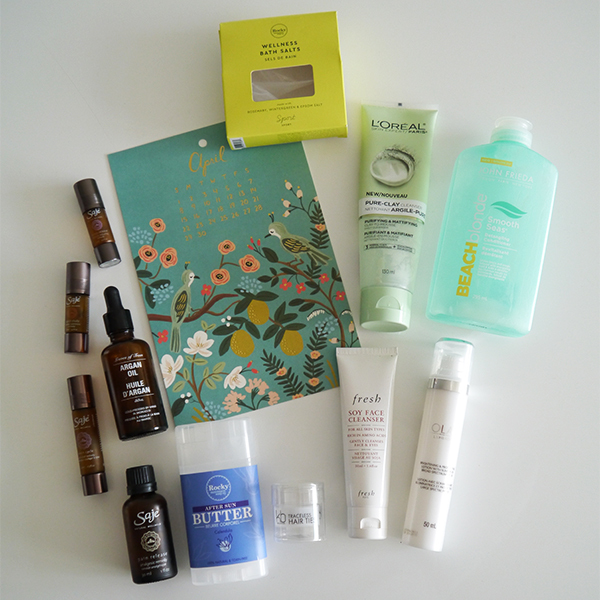 So much aromatherapy in this month's empties round-up, as well as a good mix of drugstore and natural beauty! Let's get to it, shall we? Let me be the first to say that I might be the least likely beauty blogger on earth to be offering opinions on hair dryers. 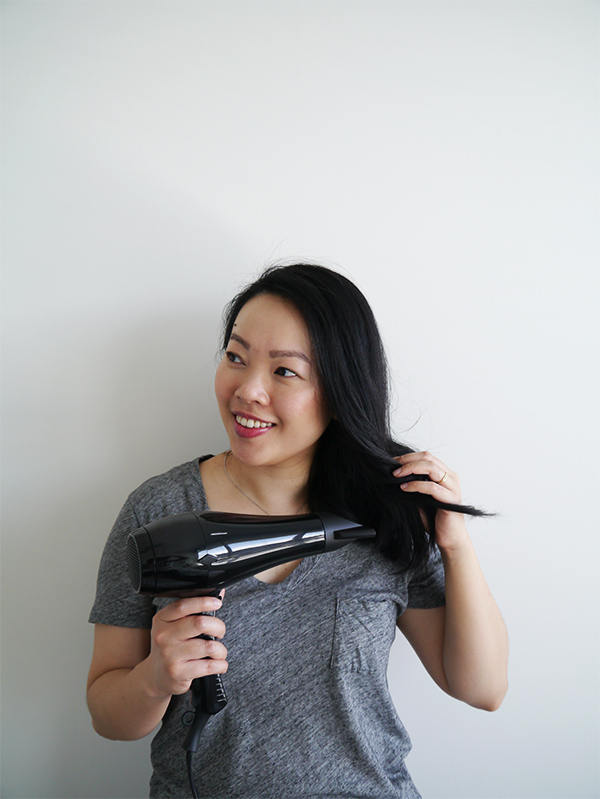 Before the Kenneth Bernard Pro Dryer ($74.95, available exclusively at Chatters Salons across Canada), I'd been making do with the same fold-up travel-size hair dryer for the last 5 years, ever since we moved to our condo and I swiped it from my parents' house. It was chintzy, it was weak. It emitted a burning hair smell from the countless times it sucked up my thick Asian tresses through the back vent and I'd had to unplug the dryer and extricate myself from the fan. Needless to say, it was not a pleasure to use. But I hung on to it because it still worked more or less, and besides, my hair had destroyed so many other hair dryers by getting tangled in them that I'd spent a pretty penny on replacements. Any hair dryer would have been an improvement over the status quo, but even barring that, the Kenneth Bernard Pro Dryer has been an all-around delight. As you may have noticed here or on Instagram, I haven't been posting as much lately. Work projects and participating in the Bar Method Fitness Challenge have proven surprisingly tiring! The last thing I want to do these days is put on uncomfortable clothes, which is why I've been reaching for denim and leggings almost 24/7 and which is where the Lola Jeans 'Julia' jeans ($80) featured today come into play. Think of these pants as a hybrid of your comfiest leggings and stretchiest jeans. Lola Jeans actually kindly sent me a pair to review back in November, but with one thing and another, I didn't have a chance to feature them until now. 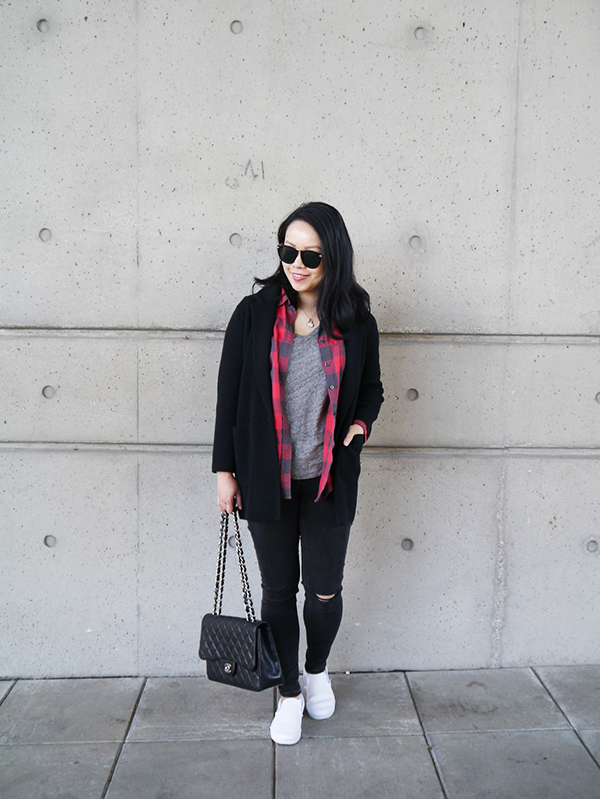 If you're thinking of ordering a pair for yourself for all those casual #ootd moments, read on for my (admittedly very detailed and honest) thoughts! Although I'm writing this post on a grey and rainy Sunday, there are already signs that spring is on its way. Daffodils are blooming and the days are getting longer and warmer. And in the beauty world, the heavy metallics, mattes, and dramatic colours of the holiday season have given way to something lighter. Case in point? 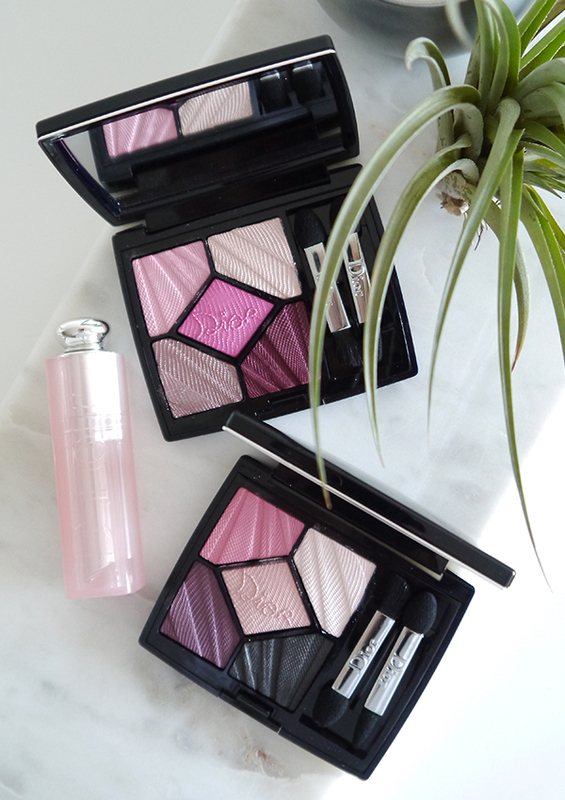 The gorgeous Dior 5 Couleurs Glow Addict Eyeshadow Palettes ($73). Described in the press materials as "2 exclusive harmonies of iridescent rosy hues," these limited edition spring 2018 palettes will add a certain freshness and bloom to your beauty look.